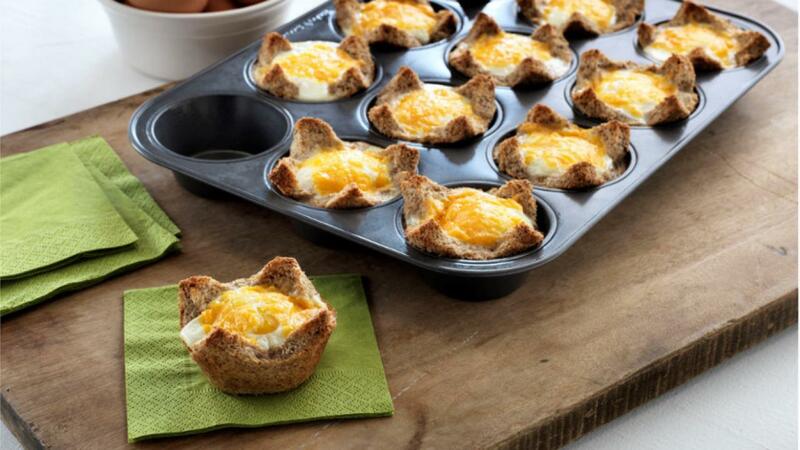 Easy to make, eggs baked in a bread basket in muffin tins are also convenient to eat out of hand. No cutlery required! Butter one side of each slice of bread with about ½ teaspoon (2.5 mL) butter. Place bread into cups of muffin tins, buttered side down, pressing to fit into the shape of the cups. If using, place a slice of ham on top of bread, folding over as necessary and pressing into cup to fit. Carefully crack an egg into each bread cup. 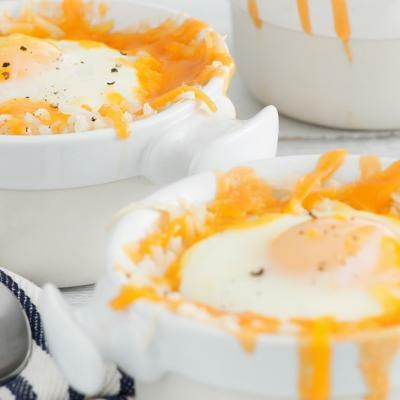 Sprinkle about 1 tablespoon (15 mL) cheese over each egg. Bake in a preheated 350°F (180°C) oven until eggs are cooked, 18 to 20 minutes. Let rest for a few minutes before serving as Egg Baskets will be hot. If necessary, run knife around Egg Baskets to loosen from muffin tin. 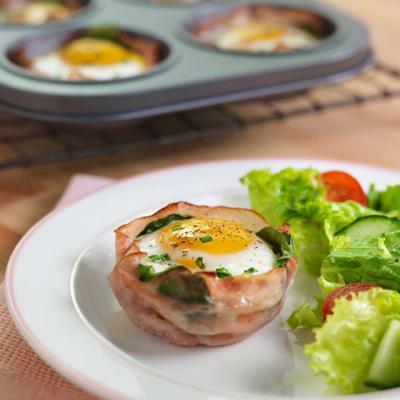 Depending on the size of the cups in the muffin tins, a large egg might overfill the cup. If that happens, whisk the eggs and fill the bread baskets with the amount that fits (see third variation below). Or, use medium eggs. 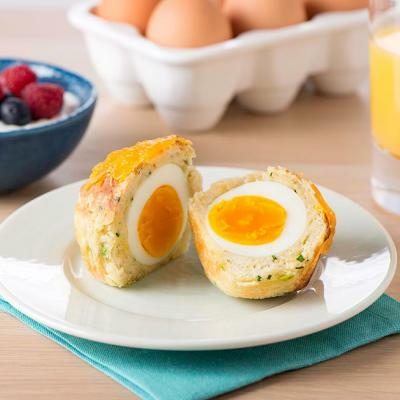 Egg Baskets can be refrigerated for 2 to 3 days and reheated. Place on a baking sheet and reheat at 350°F (180°C) for 15 minutes. Along with or in place of ham, bread baskets can be lined with spinach leaves. Use another cheese (e.g. Colby, Monterey Jack, Swiss) instead of Cheddar. Instead of cracking an egg into each bread basket, whisk all the eggs or lightly beat them with a hand-held or stationary mixer. Pour or ladle enough of the whisked eggs to fill each bread basket (about 3 to 4 tablespoons (45 to 60 mL).